The Beyond Pulse idea was born out of a desire to help coaches better understand the health and performance of their players. With coaching education at the center, the core strength of Beyond Pulse lies with the unique team of people who are both experts in their field and passionate about achieving the Beyond Pulse mission. INGSOFTWARE is a software development company based in Nis, Serbia with representative offices on three continents. We are providing high-end software development services to our customers ranging from startups to multinational companies. We support our clients at any stage of the product evolution - be it just an idea that we believe is worth exploring or an already established business that needs to be optimized. Our team consists of more than 60 people: software engineers, architects, artists, designers and managers, covering a wide area of expertise. We have been in business since 2009, providing services worldwide and working with 50+ clients on 100+ projects all over the world. Holding an MSc in Sport and Exercise Psychology and an Undergraduate Degree in Sports Coaching alongside a plethora of formal coaching qualifications (USSF A License - pending completion, USSF National Youth License, NSCAA Premier Diploma, NSCAA Director of Coaching Diploma, FA Youth Award, LMA Developing a Culture of Excellence) alongside experience as a University Lecturer, United Soccer Coaches Staff Coach and presenter at the United Soccer Coaches National Convention, Tom is one of the foremost youth coaches and coach educators in the country. 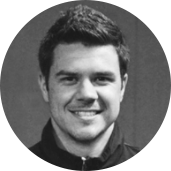 In addition to these roles he is also the Director of Player Performance and Pedagogy for Rutgers University Men's Soccer of the NCAA's Big 10, a National Staff Coach for US Club Soccer's Boys Id2 program and the Boys Director of Coaching for STA Academy. 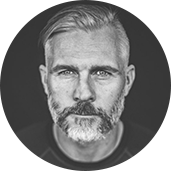 In his role with Beyond Pulse he will operate as our Global Director of Club Development and Coach Education, specializing in providing our partners with the counsel and support necessary for raising the levels of player and coach development and performance throughout their club. He can be followed on twitter at @t0m_shields. Johnny was born and raised in County Cork, Ireland. He has a Master’s in Sports Medicine, and has dedicated the last 16 years to the profession. He was recently appointed as Head Physiotherapist at Chesterfield FC after 7 years with Notts County. At Notts County, Johnny’s sports medicine team was named “Best Sports Science and Medicine department in League Two”. Passionate about helping athletes achieve their goals, the move into professional sport was a natural fit. Johnny is a creative “doer” by nature and is most happy when integrating science and innovation to design and implement performance enhancement conditioning sessions. 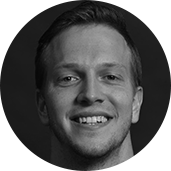 Johnny is very active on social media and can be found on Twitter, Instagram, Facebook, YouTube (Athlete Rebuild) in which he shares best practice for performance enhancing strategies. With Beyond Pulse, Johnny will be a Data Research & Education Specialist. Dr. Said Mekary is the Director of the Acadia Active Aging program, a professor and exercise physiologist in the School of Kinesiology at Acadia University. 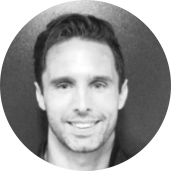 He is an emerging scholar with a broad background in the biological and exercise performance sciences who has established himself as an up-and-coming leader in the field of exercise physiology in Canada. In 2016, Dr. Mekary was awarded the Acadia University Faculty of Professional Studies Outstanding Research Project Award for his work on the role of pulmonary physiology and exercise. Dr. Mekary continues to have applied research interests in the outcomes of exercise interventions in athletes, aging populations, and those with chronic disease and disability. He is also the current assistant coach of the women’s varsity soccer team. With Beyond Pulse, Dr. Mekary will provide expertise on how to create and maintain a sporting program in conjunction with the Beyond Pulse Smart Belt. Cheryl is an Associate Professor of Exercise Physiology at Ohio University. She obtained her PhD at University of Massachusetts-Amherst. Her research focuses on the measurements of the energy cost of physical activity and its effects on health outcomes, with a focus on children. Cheryl has had numerous publications in academic journals on the subject of exercise physiology. With Beyond Pulse, Cheryl will provide her expertise in using the Beyond Pulse Smart Belt for measuring physical activity as well as the effect of physical activity on health outcomes in youth. 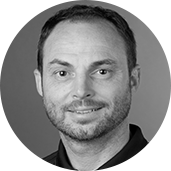 Hailing from the UK, Stephen is an Associate Professor of Coaching Education at Ohio University. Stephen’s research focuses on teacher/coach pedagogy and practice and its influence of student/player learning. Stephen is an author, the co-developer of Coach Analysis Intervention System (CAIS) iPad application by Axis Coaching Technology, and the Secretary for the International Association for Physical Education in Higher Education Teaching Games for Understanding Special Interest Group. Additionally, he has coached at the junior international level and has worked as a National Governing Body coach educator. 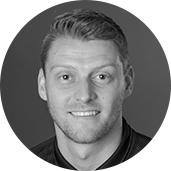 With Beyond Pulse, Stephen will support our research agenda and advise on how the Beyond Pulse technology can influence player and coach learning. 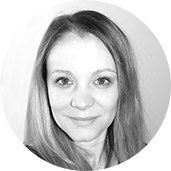 Ashley is a Sports Coaching Education lecturer for the Recreation and Sport Pedagogy Department at Ohio University. A former professional footballer, Ashley played for Hull City FC and Scunthorpe United, as well as the English National Futsal team. He completed his UEFA “B” License and spent 10 years as a coach at the Hull City FC Academy, as well as completing his PhD from the University of Hull during this time, focusing on coach educators and the role they play in coaching. Now, his research focuses on the sociological aspects of sports coaching and coaching education. With Beyond Pulse, Ashley will provide counsel about our priority of effecting coaching education. 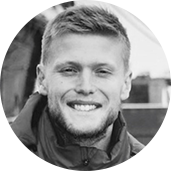 Robbe is the volunteer assistant men’s soccer coach at the University of Louisville, as well as a staff coach at Kentucky Fire Jrs. and the Kentucky Olympic Development Program. He has previous coaching experiences at Centre College and PDL level (Derby City Rovers). He is earning his Master’s in Sports Management and Coaching from the United States Sports Academy. With Beyond Pulse, he is a product specialist, focusing on product development and product testing. 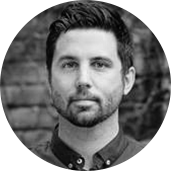 Maxime began his career as the marketing director of O’Neill Canada, where he had the opportunity to work on the strategic overhaul of the international brand with TBWA/Chiat/Day, Apple’s dedicated ad agency. In 2010, he started Atelier, a multidisciplinary agency specialized in brand positioning and fueled by the mission to inspire brands to innovate and have a positive impact on their industries. With experience in a wide array of sectors, Atelier has helped reposition Beyond Pulse, PEPPERMINT Cycling, Équiterre, miCoach by Adidas, Olivier Martineau, Soccer5, Céline Dion, L’Oréal USA, Rümker, and other brands and companies. Maxime recently joined forces with innovation expert Alexandre Joyce; together, they create workshops that help companies reinvent themselves through the use of emerging business models. Charles is a lecturer in the E.W. Scripps School of Journalism at Ohio University. 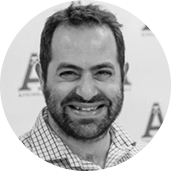 Charles has an extensive background in brand management, with time spent working with Diet Coke, Sprite, and CitiBank. He held a position at WB Doner, the nation’s largest independently owned advertising firm, and The Centers for Disease Control. Before moving to Ohio University, Charles was a part of Merkley + Partners in New York City, working on brands such as Arby’s, and DBB, working with companies like Subaru and Breyer’s Ice Cream. 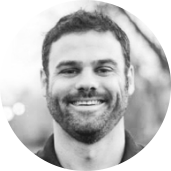 With Beyond Pulse, Charles will primarily lead brand development. Craig is an Associate Professor in the E.W. Scripps School of Journalism at Ohio University. 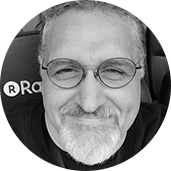 He has extensive experience working on technology and business-to-business accounts like Canon USA, Millipore Corporation, Avaya and Pay By Touch. Craig has also worked with consumer and corporate brands like Hershey’s, Proctor and Gamble and GlaxoSmithkline. 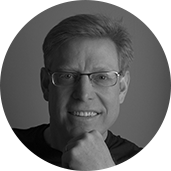 Craig is a member of the American Advertising Federation and the Society for Case Research. Alongside Charles Borghese, Craig will lead the Beyond Pulse brand development. Caroline is an artistic director and designer based in Montreal, Canada. She has worked with the Montreal Canadiens NHL Club and Gillett Entertainment Group (now evenko) before she started her own design company. She has worked with clients such as Just for Laughs, Celine Dion, Ticketbreak, Productions J, Musicor, Gregory Charles, the Montreal Impact Soccer Club, the Canadian Armed Forces and the US Armed Forces. 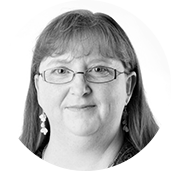 Caroline will help Beyond Pulse with Image design, publicity and marketing.